NEW YORK (WABC) -- Election results are in for New York City, and one borough stands out as successfully picking the president-elect. The overall results for the five boroughs overwhelmingly picked Democratic nominee Hillary Clinton with 79 percent of the vote. But the results, while consistent among four boroughs, nearly flip-flopped between Clinton and Republican nominee (and now president-elect) Donald Trump on Staten Island. There, Trump secured the majority with 57 percent of the vote and Clinton getting 40 percent. In Queens, the borough where Trump grew up, 20 percent of voters showed their support for the businessman. The Bronx showed the most support for Clinton, with 88 percent of voters casting their ballot in favor of the female candidate. Manhattan was second with 86 percent of votes being cast for Clinton. Voter turnout in each of the boroughs varied, though a majority of active registered voters went to the polls. At 60 percent, Manhattan had the most of its registered voters turn out for voting. The Bronx had the least turnout-wise at 52 percent. 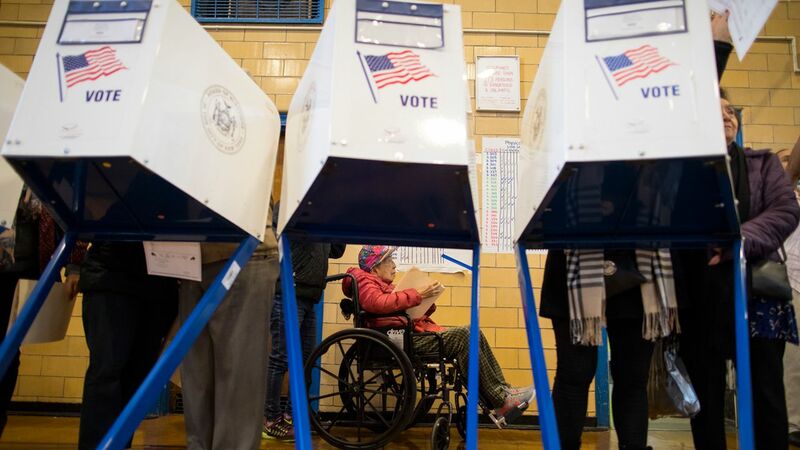 The third party candidates each netted about 1 percent of the vote across New York City -- and it was relatively consistent among the boroughs.